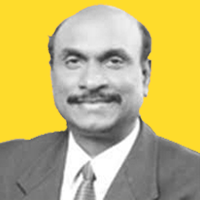 Suresh C. Senapaty is on the Board of Wipro Enterprises (P) Limited since 2013 and Wipro GE Healthcare Private Limited since 1995. He is also an Independent Director of the company. He is the Chairman of Corporate Social Responsibility Committee and Audit Committee of Board of Directors and a member of Administrative & Shareholder/Investors Grievance Committee of the company. He is a Commerce graduate and Fellow member of the Institute of Chartered Accountants of India (FCA).